Reservation service with convenient pick up times. 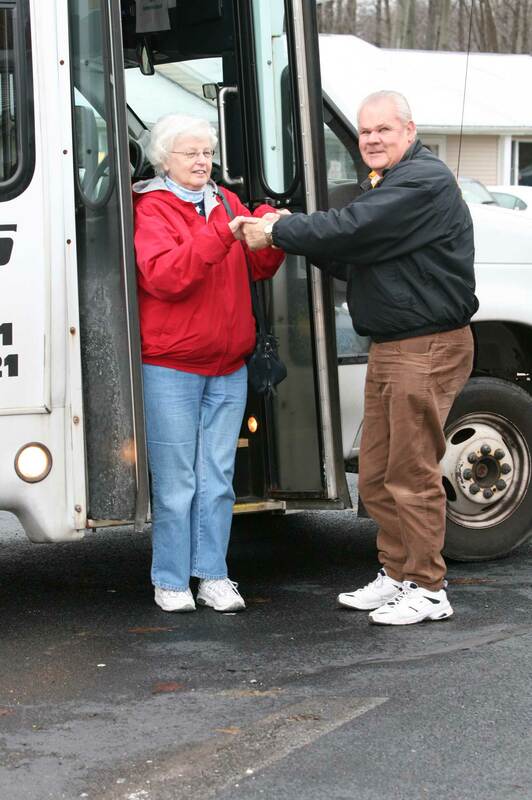 Courteous drivers specializes in meeting senior’s needs. Lifts for clients using a walker or wheelchair. Saturday hours are subsidized by the City of Norwalk, limited to it’s city limits and available to Norwalk city residents only. Out-of-county medical transportation may be available by special arrangement for a fee. Huron County Transit is operated by Enrichment Centers for Huron County as part of their overall service corporation. The transit service is funded in part by a grant from the Ohio Department of Transportation, Federal Transit Administration, Huron County Commissioners, agency contracts and passenger fares. All transportation services are open to the general public. Riders under the age of 12 must be accompanied by an adult. Reservations are required for all services. $3 per person each way within the county. Fares are determined by destination and can range from $4 to $40 each way. Call the Transit Office for a quote.